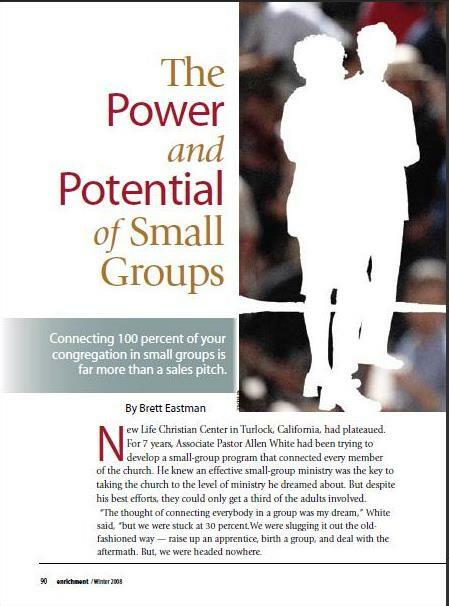 This article is from a few years back and recounts my experiences at New Life in Turlock, California and Brett Eastman’s experiences at Saddleback Church as Small Groups Pastor. New Life Christian Center in Turlock, California, had plateaued.For 7 years, Associate Pastor Allen White had been trying to develop a small-group program that connected every member of the church. He knew an effective small-group ministry was the key to taking the church to the level of ministry he dreamed about. But despite his best efforts, they could only get a third of the adults involved.